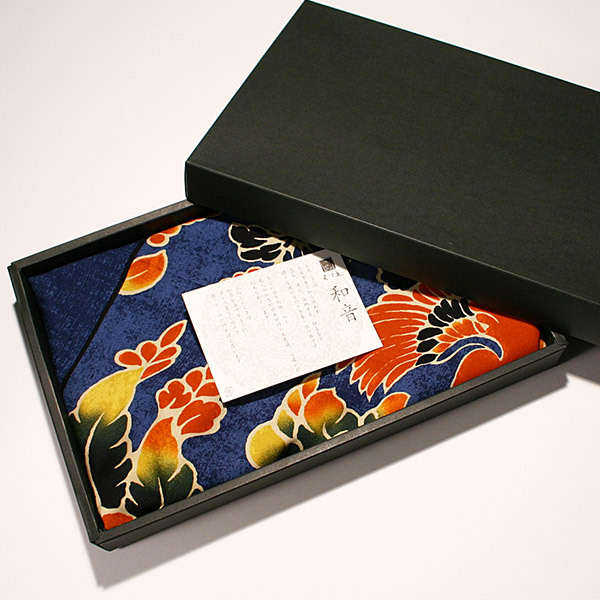 The Shōsō-in (正倉院) is a treasure-trove that housed about 9000 treasures such as arts and craft items centered on the Tempyo era (710 to 794 A.D.). 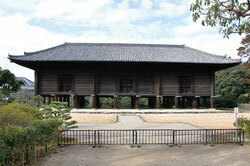 The building is in the azekura log-cabin style, with a raised floor. 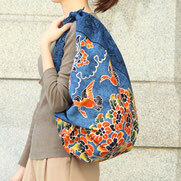 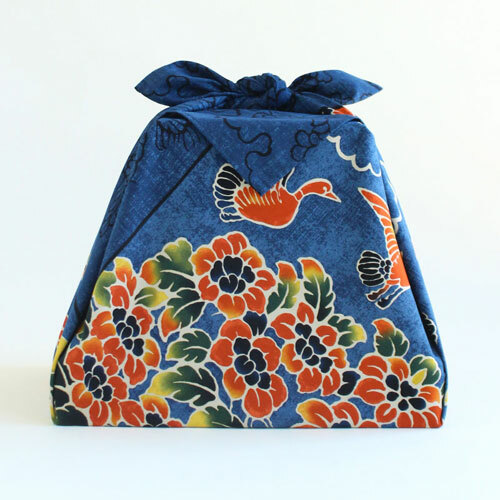 ● Inspired by treasures stored in Shōsō-in, manufacturer enclosed the formal high beauty of treasure in their Furoshiki. 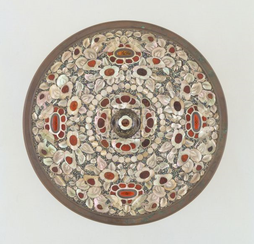 The Circular mirror "Enkyo" is a masterpiece with brilliant decoration. 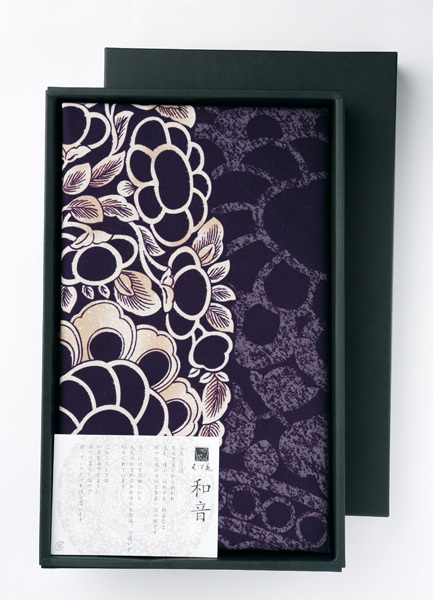 This treasure symbolizes the splendor of Shōsō-in's treasure and a high degree of internationality. 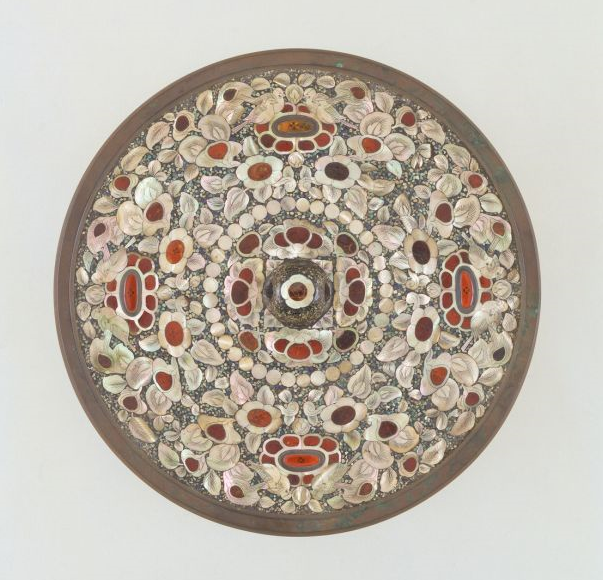 So, speaking of Shōsō-in's treasure, lots of Japanese this mirror first to mind. 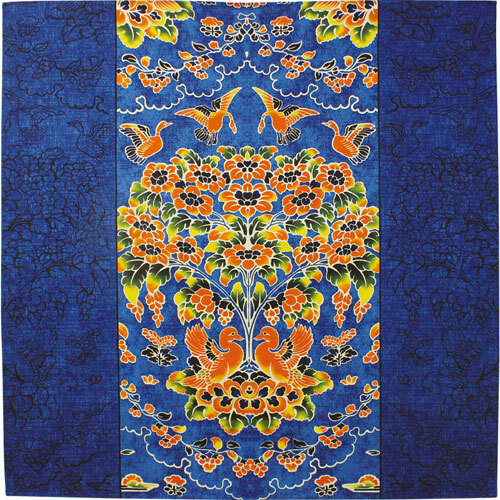 On the back of the mirror, ornately decorated with gorgeous jewelry from around the world such as pearl inlay (raden), amber (kohaku), lapis lazuli. 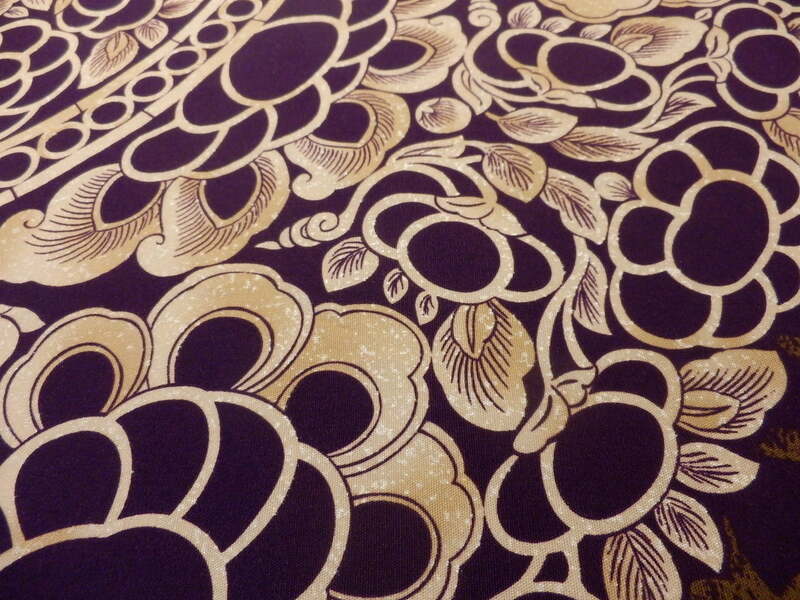 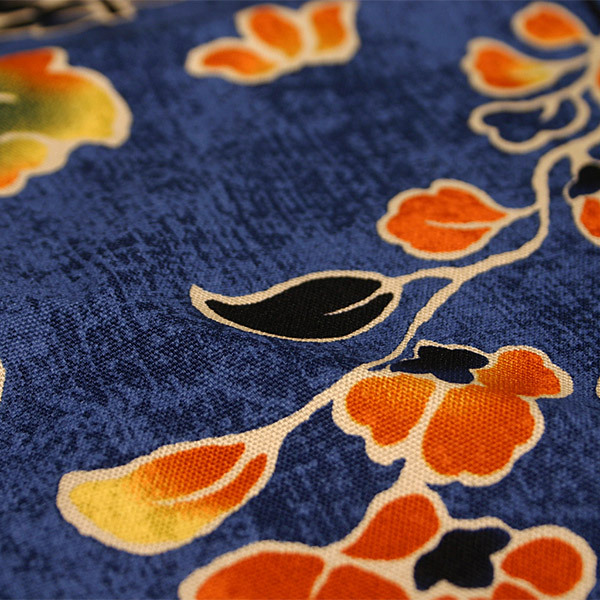 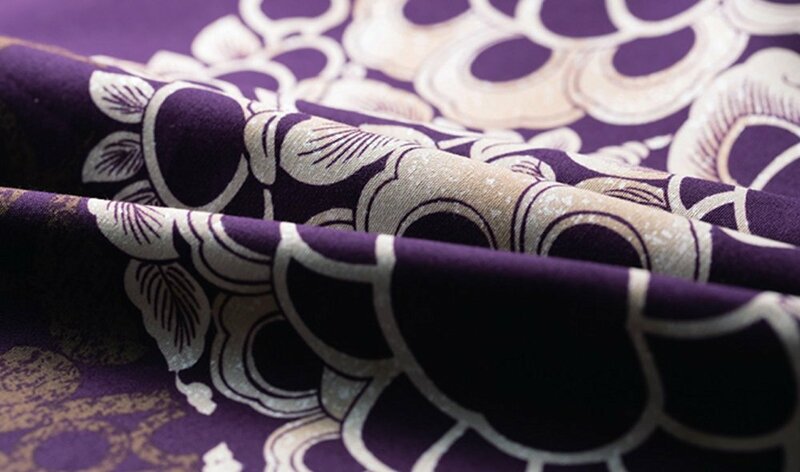 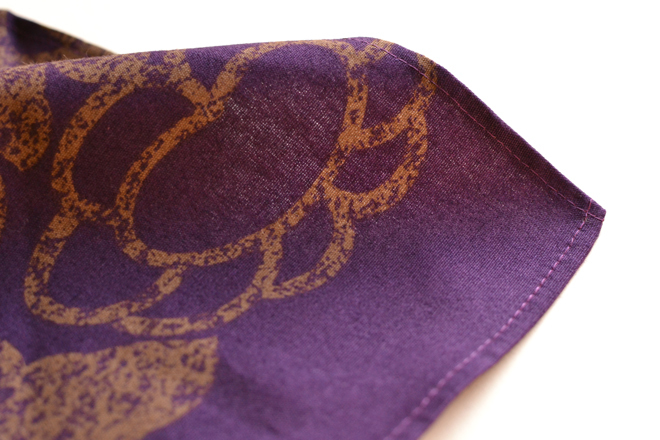 Furoshiki "Enkyo" is reproduced the luxurious mirror with beauty by the fusion of the continent as motif. 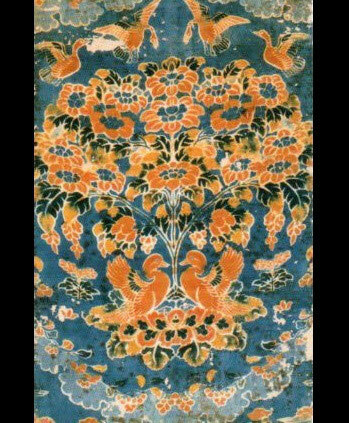 The pattern of animals and birds drawn under the sacred tree is called "Jyuka-Souchomon (樹下双鳥文)", the design was passed from Persia through Silk Road to Japan. 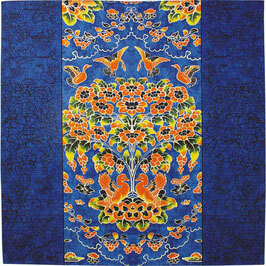 This cloth seems formerly to be used as a cover on a tabletop which places offerings in front of Buddha. 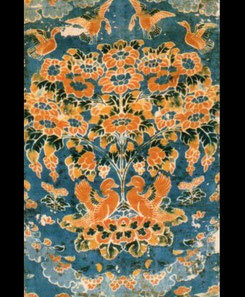 Two waterfowls are face-to-face on a lotus, a large tree with flowers in full bloom is drawn in the center, it is said that depicting a paradise in the sky. 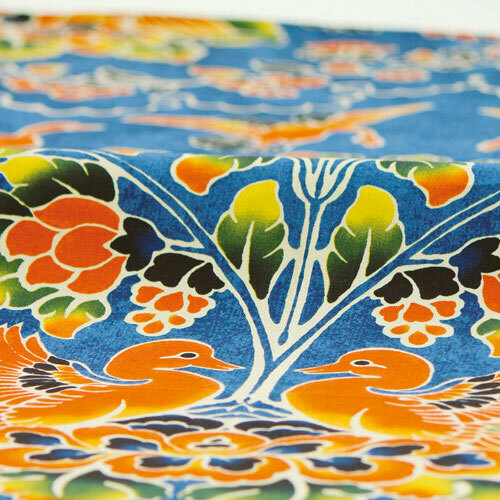 Colorfully dyed red, yellow, green, navy blue and white, it could be a very difficult technique at that time.